Clear Creek Associates provided hydrogeologic consulting services to California Baptist University in Riverside, CA for design, construction management, testing and reporting for the installation of a new water supply well to meet the turf irrigation and landscape water requirements of the University campus. The well site was on the University campus in close proximity to classrooms and occupied residential areas, so sound abatement and traffic control were required during the well construction process. In addition, enforcement of strict “rules of behavior” were implemented to accommodate the well drilling work being conducted on an active Christian University campus. 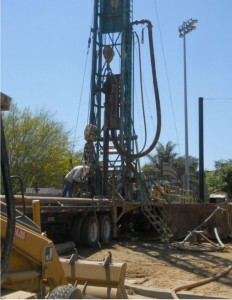 During drilling and installation of the well, Clear Creek Associates personnel conducted hydrogeologic analyses of the borehole (lithologic logging and depth-specific hydrologic testing). 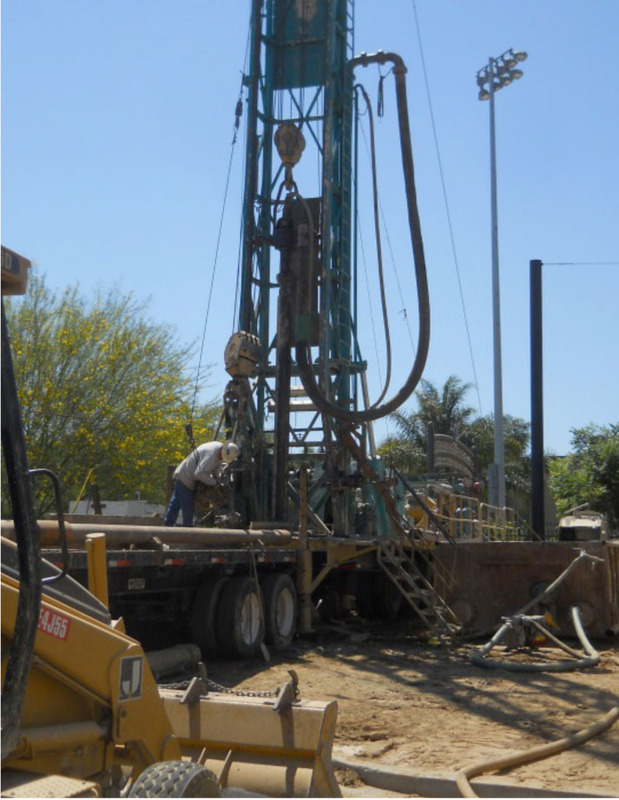 Based on the site-specific hydrogeologic information obtained from the pilot hole, the new well was constructed to provide optimum groundwater production (about 400 gpm), which exceed client expectations and will enable the University to meet its projected water resource needs. This project was completed on schedule and within the established budget.